Sep 05, 2016 Hello, Thank you for your feedback. We are so sorry for the pressure you may have experienced. Your input has been forwarded to our management team and will be taken into consideration. 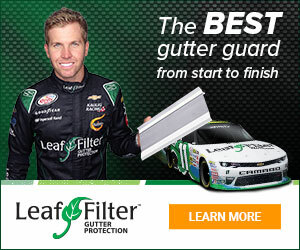 COMMERICAL ACCOUNT MANAGER CAME TO MY HOUSE TO GIVE MY WIFE AND I ESTIMATES ON LEAF FILTER GUTTERS. WE SAID WE WANTED TO GET OTHER ESTIMATES BEFORE I MADE UP MY MINE. AT THE END OF THE TWO HOUR PRESENTATION HE STARTED PUTTING MORE AND MORE PRESSURE ON US. HE BECAME RUDE AND ANGRIER SAYING WE LIED TO HIM ABOUT WANTING THE GUTTERS THEN STARTED INTIMIDATING US TELLING US WE COULD NOT HAVE ANYONE ELSE TO COME OUT. ALSO SAID I WAS USED AND HAD WASTED HIS TIME BY NOT TAKING HIS WORD HIS GUTTER GUARD WAS THE BEST.MY WIFE TOLD HIM WE WE WERE SORRY HE FELT THAT WAY BUT WE ALWAYS GET MORE ESTIMATES. SEVERAL TIMES WE REPEATED TO HIM, BUT HE WALK OUT.Never felt so frighten by representative of acompany. hope no as to go through this. Review #329258 is a subjective opinion of User329258. Thank you for taking your time to save us from the same experience. I will go with someone local.